What road forward to DEMO? What is the best way forward to commercial fusion energy? This important topic reunited fusion researchers from ten countries from 7-10 September at the campus of Princeton University in Princeton, New Jersey. Organized by an international committee of fusion leaders and hosted by the Princeton Plasma Physics Laboratory (PPPL) the workshop, entitled "Magnetic Fusion Energy: Roadmapping in the ITER Era" occurred at a pivotal moment in the history of magnetic fusion development. As the ITER project is now launched on its mission to answer outstanding questions on the control of a burning plasma, countries all over the world are planning—with renewed intensity—the research and facilities needed to harness fusion energy for commercial use. The international workshop provided a timely forum for the exchange of technical information and strategic perspectives on how to best tackle the remaining science and technological challenges on the way to a magnetic fusion DEMO (demonstration device) and commercialization. The participation of a large number of the world's leading fusion science and engineering researchers reflected the widely felt sense of urgency to collaborate more closely on these challenges. 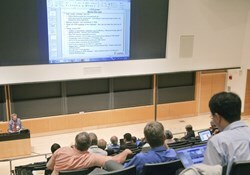 The workshop was organized around four topics: fusion technology; physics-technology integration and optimization; major facilities; and perspectives on DEMO and the roadmap to DEMO. Participants, including participants from all of the ITER Members, advocated a remarkably consistent timeline for the next-step facilities, despite some variation in the scale and scope of the facilities being considered. All agreed that serious planning should begin now, leading to construction in the 2020s and operation in the late-2020s to mid 2030s. Tasks to be accomplished on the road to a fusion DEMO include materials R&D, component testing, reliability and availability growth, and electricity generation. 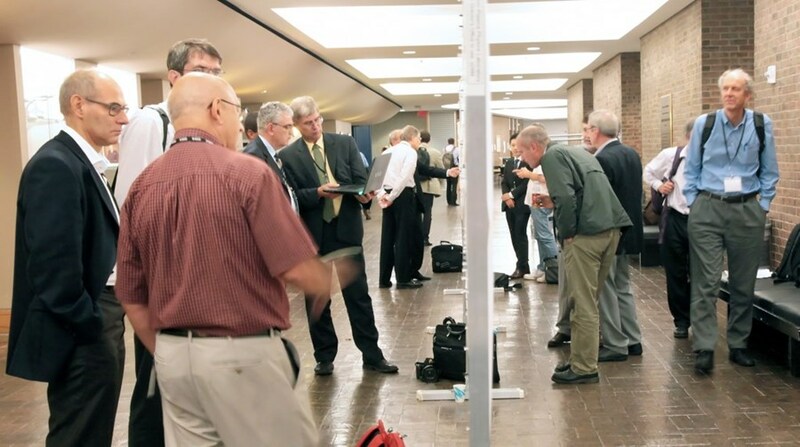 Options presented at the workshop ranged from fusion nuclear science facilities for materials research and component development, to pilot plants or demos designed to integrate the science and technology of a fusion system and demonstrate readiness for commercialization. 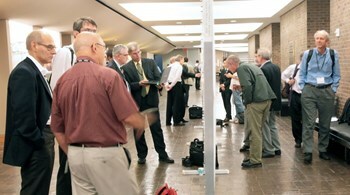 At the same time, it was recognized that there is much to be done in smaller, more focused programs, utilizing computation and simulated environments to expedite progress, in order to develop the fusion nuclear science and technologies for integration and testing in large nuclear facilities. It was also agreed that ITER should be exploited to the fullest extent possible to make progress on these issues. The scale and complexity of the outstanding challenges in fusion development that were highlighted at the workshop underscore the necessity of working together internationally. A continued international commitment to the success of ITER is viewed as both essential to technical progress and to the credibility of the field. At the same time, new mechanisms are needed for experts to collaborate toward better technical understanding of the major development issues and options for resolution. The formation of international working groups was suggested to address key technical issues where currently understanding diverges, for example: the physics and technology assumptions and models used in fusion system codes; the strategy for fusion materials development; and the requirements and state-of-readiness for the various next-step facility options. A summary of the workshop is being prepared for publication, and a list of participants and all of the presentation material is available here. For further information, contact Hutch Neilson at hneilson@pppl.gov.